Khandalyce and how the case was cracked. How did two girls go missing for six years and nobody noticed? In August 2010, dirt bike riders discovered human bones in the notorious Belanglo State Forest, where, years earlier, Ivan Milat had so cruelly tortured and slain seven young backpackers. The remains were those of a young woman, who police dubbed 'Angel' after a T-shirt emblazoned with the word 'Angelic' found nearby. But 'Angel' lay unidentified for years. Who was she, how did she die, and at whose hand? Then, in July 2015, the bones of an unknown child were found in a suitcase by a highway in South Australia. Weeks later, a call to Crime Stoppers was the lead police needed. Clothing and a blanket found near the suitcase matched those in a photo of two-year-old Khandalyce Pearce who, with her young mother, had left Alice Springs in 2008 and hadn't been seen since. Through DNA, police were quick to identify Angel as Karlie Pearce-Stevenson, Khandalyce's mother. In the grimmest of scenarios, mother and daughter were reunited at last. 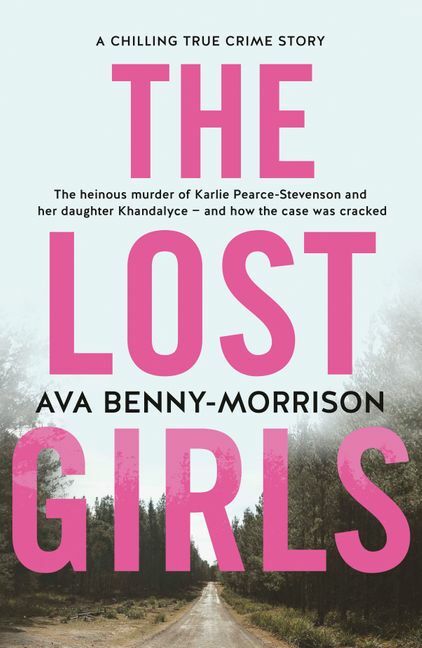 The Lost Girls is the chilling true story of this heinous double murder and how investigators tracked down the killer, who not only murdered the two girls but stole the young mother's identity to defraud authorities and her worried family of more than $70,000. It's the tale of a vivacious young woman keen to discover the world; a loving family desperate for answers; dedicated investigators who never give up; and a vicious killer with form who lies to the end in a bid to save himself. Gripping and authentic, The Lost Girls celebrates the short lives of a young woman and her daughter and the investigators determined to bring them home. A crime reporter with The Sunday Telegraph, Ava Benny-Morrison has covered crime and the courts for several years in New South Wales and Queensland. The Lost Girls is her first book.